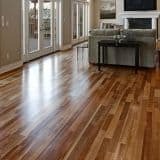 If you are looking for a timber floor installation that is versatile and that allows you to unleash your creative style, then you are in the market for the beautiful parquetry flooring Melbourne service has today. It is one of the favourites among homes and offices that crave the warmth of wood. Whether you want to have the master or other bedrooms with the engineered timber flooring Melbourne service, the Invogue Flooring give strict attention into detail, quality materials and installation skills. We can offer from installation to polishing and dyeing services, if you are coming for the floor installation, just call us.